I realize it’s been awhile and these tools have really changed since my last post in 2015. Have they changed for the better? Not necessarily. 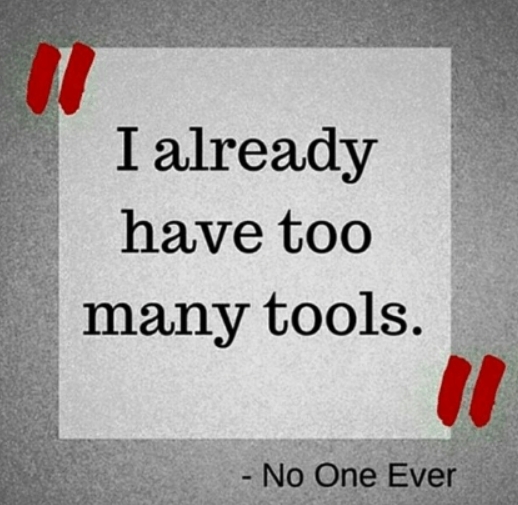 Some tools update so quickly that they lose the basics. For that reason, please test and validate your tools and never trust what is advertised. Your goal should be to determine how the artifacts were placed on the device, not that the artifact exists on the phone. By this I mean – how did it get there? Did the phone suggest it, the user searched for it or was it synced to the device? This level of analysis is something your tool cannot do for you, which is why you probably read blogs like this and learn what you can trust and where you must apply your smartphone skills. As I stated in the last blog I wrote on this topic, I am not going to delve too much into acquisition tools and methods. There are so many out there. Some of the ones I rely on to get my data are Cellebrite UFED (not for iOS devices), Cellebrite Physical Analyzer (for iOS devices), Oxygen, iTunes and my good ‘ole Mac. I always tell my students to try everything when you have a smartphone on your desk. You don’t know how that device was used and what settings are already enabled behind that locked device. You may surprise yourself when you are able to grab everything with the click of the “acquire evidence” button on your tool of choice. However, it’s not always that easy so verify that you have unencrypted data even if you get a dump. Additionally, I recommend you always get a physical dump and logical or backup to help you parse the data. Make sure you test your tools and test them often. Don’t let one hurdle knock you down. The list below doesn’t include all smartphone tools, but simply the ones I rely upon. If you have others you like, please comment and share. I love hearing what others are using because I don’t have time to test every tool and keep up with the quickly released updates. So, help me out here. *NOTE: DO NOT RELY ON YOUR TOOL TO TELL YOU HOW DATA WAS PLACED ON THE DEVICE—THAT REQUIRES YOUR KNOWLEDGE! VERIFY ALL LOCATION ARTIFACTS!!! Magnet – IEF Mobile – Great for Internet evidence and parsing 3rd party application data. One of the best iOS app parsers out there. AXIOM is now the up and coming tool, but does have some growing pains, so test it for yourself. In both of these tools, the Custom/Dynamic App finder is so useful as location additional databases of interest that you should examine for relevance. This tool easily ingests image files from other tools. Physical Analyzer – Probably the best analytical platform out there specific to smartphone tools. It doesn’t parse everything, but it gives us a platform for analysis where we can leverage it find the evidence with some manual carving and hex searches. PA doesn’t seem to omit files it doesn’t understand, which seems to be happening in other tools. Best physical search feature for locating data in raw hex, other than in file system dumps of iOS devices. The new fuzzy models plug-ins are fantastic as they identify databases commonly associated to 3rd party applications that aren’t parsed by the tool. This tool easily ingests image files from other tools. MSAB XRY/XACT – One of the only tools that consistently provides access to the raw files (databases, xml, dat, plists, BLOBs, etc.) during a logical acquisition. Guess what, to recover data that the tools don’t parse you need the raw files. This tool give you access to them! XRY is strong at parsing strange backup files from smartphones, such as those created with Samsung Kies. Oxygen – This is one of my new favorites because I am constantly examining 3rd party applications. This tool highlights files the applications use and where they are stored. Guess what? That list is now your cheat sheet. Pretty sweet! I also love the built in PLIST Editor (hex and xml views) and the SQLite editor. This is the best tool for BlackBerry and BlackBerry 10 devices. It acquires the event log and provides a secure way to create a BB backup file. Also counts out all those nasty little databases for you. I wrote a recent blog on Oxygen, so read it if you want more details on this tool. Just like most of the others, there are growing pains, so test it and validate that it’s showing you all of the data. Elcomsoft – I use the Phone Password breaker to crack locked BlackBerry device, BlackBerry and iOS Backup files. I also use this tool to pull cloud data. It’s awesome! Runs on both a Mac and PC. Parsers developed by the community. These people are rock stars and often give back by developing scripts to help us sift through application and smartphone data. Check out their blogs and githubs to get the latest scripts that I rely on to parse the massive amounts of data the commercial tools just don’t support. SQLite-Deleted-Records_Parser – A must have for unveiling deleted data in SQLite databases. His blog rocks! Adrian hits on hard topics. Read it! (HEIC/HEIF on iOS 11 is one of his latest). Also, all of his scripts have been tested to work in the SANS SIFT. His new sqlite-miner script parses databases containing BLOBs that contain human-readable data. Not only does it identify the contents, it parses them and exports them! iBackupBot – Great for parsing iOS backup files. Works on both Macs and PCs. Make sure you have the latest version that supports iOS 10 and 11. As I always say, I am sure I have forgotten to give credit to some where it’s due, so I am requesting that you help me out. What tools really help you and how? Is there one script that you found and cannot live without? Do you use something more robust than a Java decompiler for mobile malware? Is there something parsing double Base64? Don’t know what that means??? Take FOR585 and Cindy Murphy, Lee Crognale and I will teach you. Our course is offered almost every month and all over the world. Check it out for585.com/course. Keep digging in that Hex! The data is there and it’s your job to find it. Previous PostTime is NOT on our side when it comes to messages in iOS 11Next PostFirst the Grinch and now the Easter Bunny! Where is Apple Maps hiding? Great blog! I really enjoyed it and learned more about the benefits for examiners from each of the products you mentioned. I would be curious to get your feedback on EnCase Mobile Investigator. I am on the EnCase Product Team and it would be very valuable for us to know what you look for in the tools that you use most and what you value most for your students. To be honest, I haven’t tried it in years. I would have to test it and then give feedback.